If you had a guidebook to help you do just that, your answer might be a resounding "yes" to God. 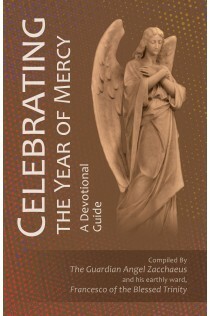 Celebrating the Year of Mercy is a concise manual for anyone wishing to deepen his faith. Inspired by Pope Francis’ proclamation of the Year of Mercy, the book guides the reader through a preparation to get the most from the Year of Mercy. Written in personal, clear language, Celebrating the Year of Mercy gently calls you to enter deeper into the two Hearts of Jesus and Mary. all human beings are created to be saints.